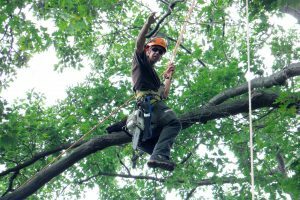 In our last article we outlined how trees in the GTA were recovering from the ice storm of 2013, but that they may need some help in the form of assessment and pruning. 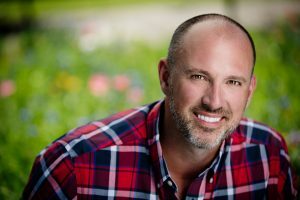 In this article, we will provide some visual references of the types of injuries your tree may have sustained in the crown. 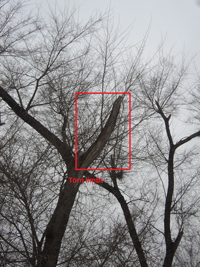 The primary form of damage, trees sustained in the ice storm of 2013, was limb breakage caused by excessive ice loads. 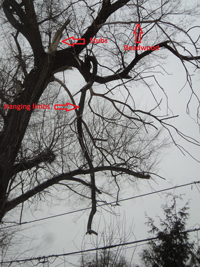 Species most affected were weaker wooded, and tended to have long, extending limbs. 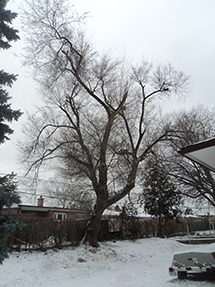 Siberian elm, silver maple and Manitoba maple in general sustained more damage than other species. 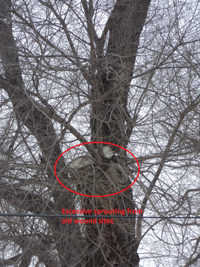 Trees with pre-existing issues, such is cracks or splits, also sustained a large portion of damage. 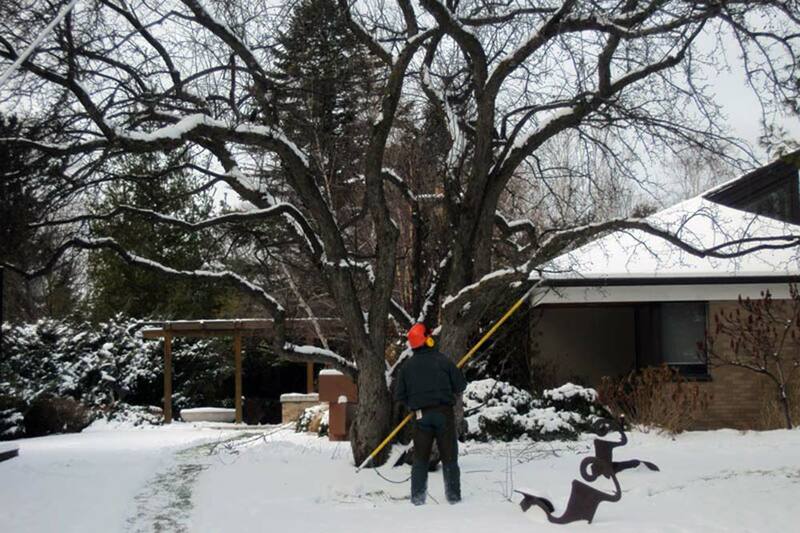 Ontree recommends that you contact an arborist to assess your tree for any pruning needs. 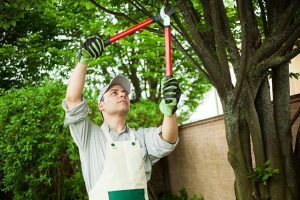 Although some types of damage may be evident to a non- professional, an experienced arborist from Ontree would be able to identify less obvious problems, such as exposed limbs, or visible cracks.